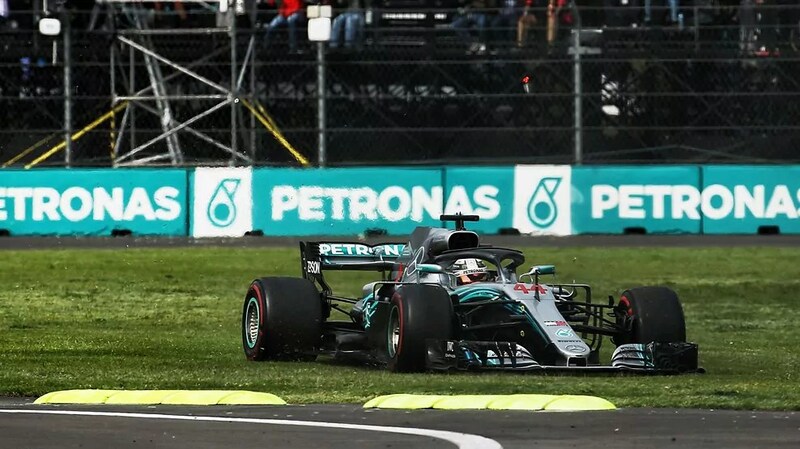 By his own admission, the 2018 Mexican Grand Prix was by far the worst race of the season for Lewis Hamilton and team Mercedes. Red Bull dominated the proceedings from the get-go. The Red Bulls are specialists around tight twisty circuits and they locked out the front row in qualifying with ease. Hamilton was next up, ahead of his championship rival. Sebastian Vettel. The championship, though mathematically still winnable for Vettel and Ferrari, was statistically impossible to reverse. Even if Hamilton finished 7th and Vettel had managed to win Hamilton would still be crowned world champion. The race. Hamilton made an excellent start from third and out accelerated polesitter and slow starter, Daniel Ricciardo. Verstappen assumed the lead. But Hamilton was closing down fast into the turn 1. The two battled wheel to wheel but Verstappen had the inside line and the advantage. From that point on he would never be realistically challenged again. Behind him, the race was as frantic as it was tense. Hamilton held a steady 2nd during the opening phase. However as the race progressed his Mercedes didn’t. It didn’t matter what tyre strategy he was on, the Mercedes could not manage it’s tyres consistently. The Mexican Grand Prix was a struggle for Mercedes. As such Hamilton would steadily drop down the order. The reverse was happening to his main mathematical challenger. Vettel drove a fine race to secure second, making decisive overtakes as he moved up the order to secure 2nd. Daniel Ricciardo didn’t fare as well. The Aussie driver couldn’t match the race performance of his teammate. Though he shilled between 3rd and 4th throughout the race his race was over by lap 62 with 9 laps to go as his Red Bull suffered a mechanical failure. 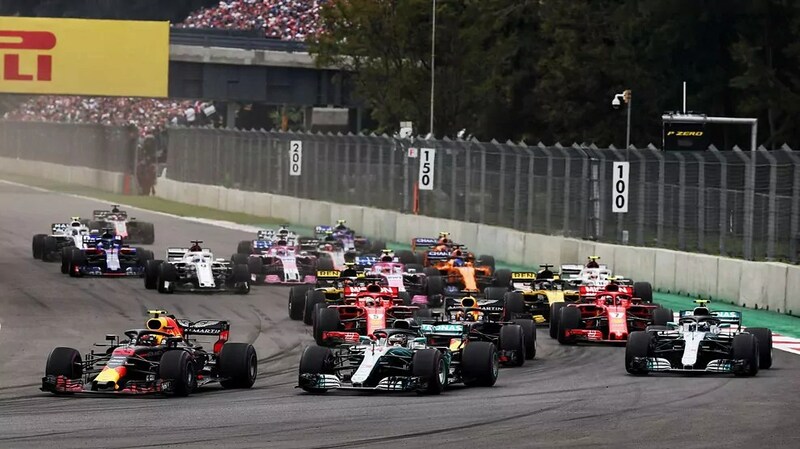 The 2018 Mexican Grand Prix belonged to Verstappen, he and the Red Bull utterly dominated the race. However, the day belonged to Lewis Hamilton who wrapped up his 5th driver’s title. The record books show he is only the third man in the history of the sport to win five titles. Hamilton stands next to the legendary Juan Manuel Fangio. Only Schumacher has managed to better the record, with 7 drivers title. 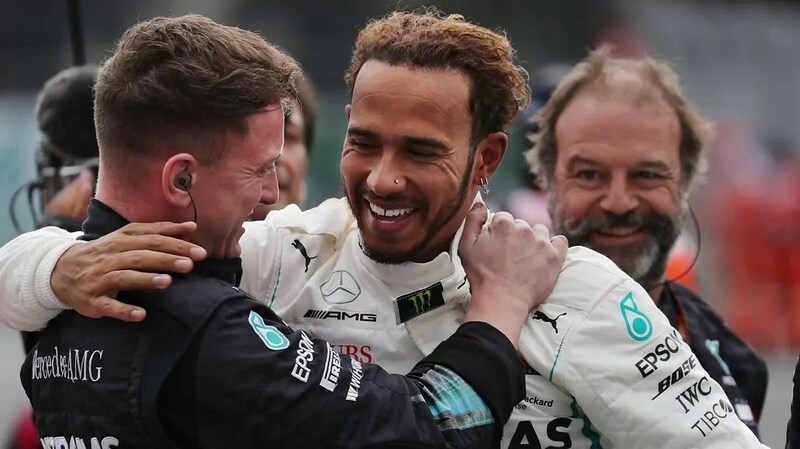 Hamilton still has time to equal the Schumacher record. Doing so will be tough, and will depend on many factors. Note – Hartley received a 5-second time penalty for causing a collision.